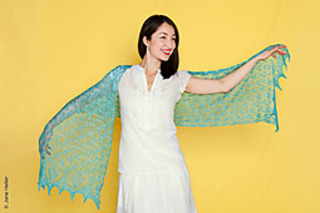 Giardina shawl is inspired by the myriad of beautiful flowers emerging in every garden during spring and summer. 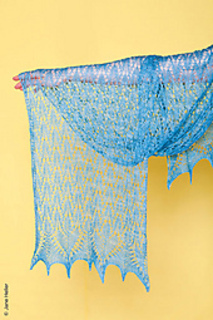 Traditional Estonian stitches reminiscent of petals and leaves flow from a center temporary cast on down to both ends. 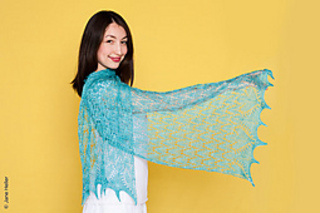 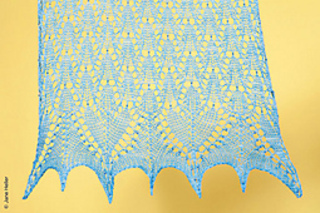 The main body is a simple and quick-to-knit lace, which contrasts nicely with the more elaborate border stitches. 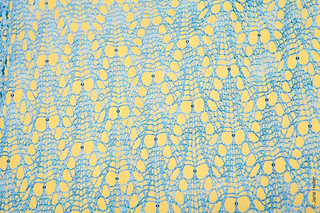 Beads start trickling in about half way down each half with many more decorating the borders (total 310 3.1 mm 8/0 glass seed beads, crochet hook 0.60 mm for bead placement).